Heatlay Mats are in-floor electric heating products that comfortably warm tile, stone, laminate and engineered wood flooring materials. 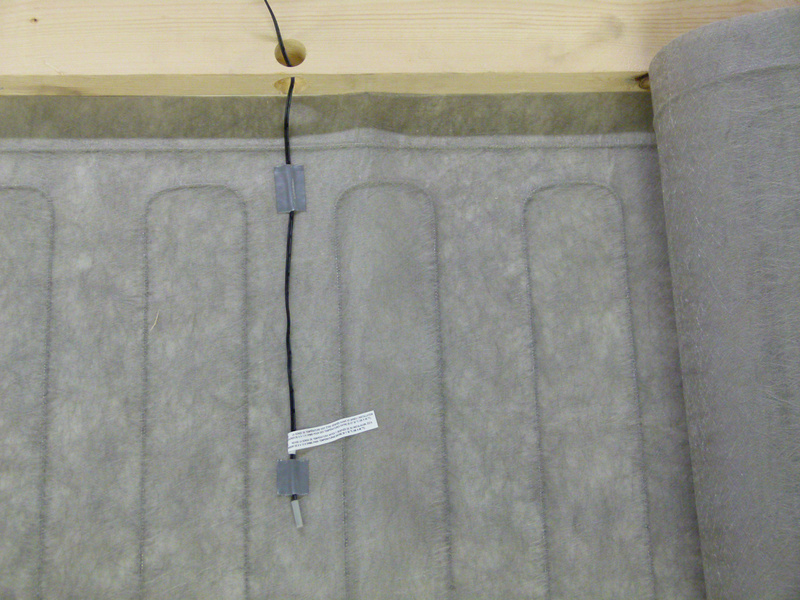 All Heatlay mats are covered by a 25-year warranty. When power is supplied to the mats the surrounding mortar becomes warm. This warmth conducts through the mortar to the floor surface and gently radiates throughout the room. 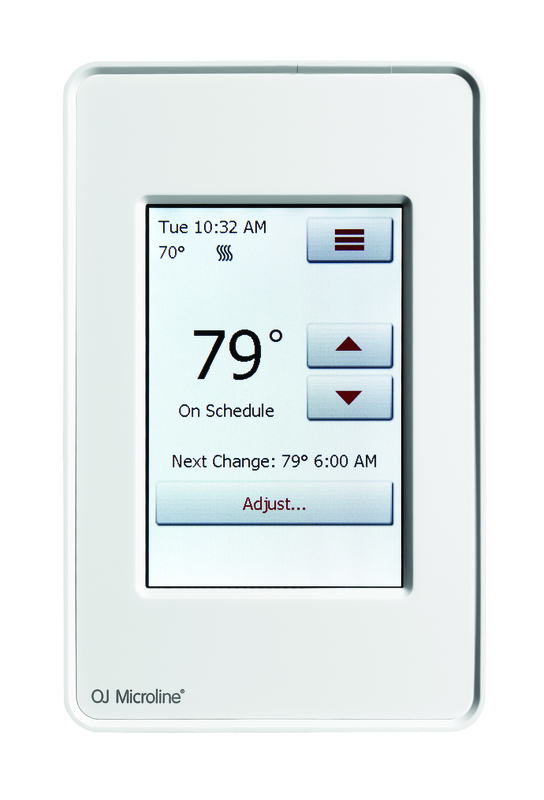 Add a Heatlay programmable thermostat and you have a convenient and efficient warming system for any room. 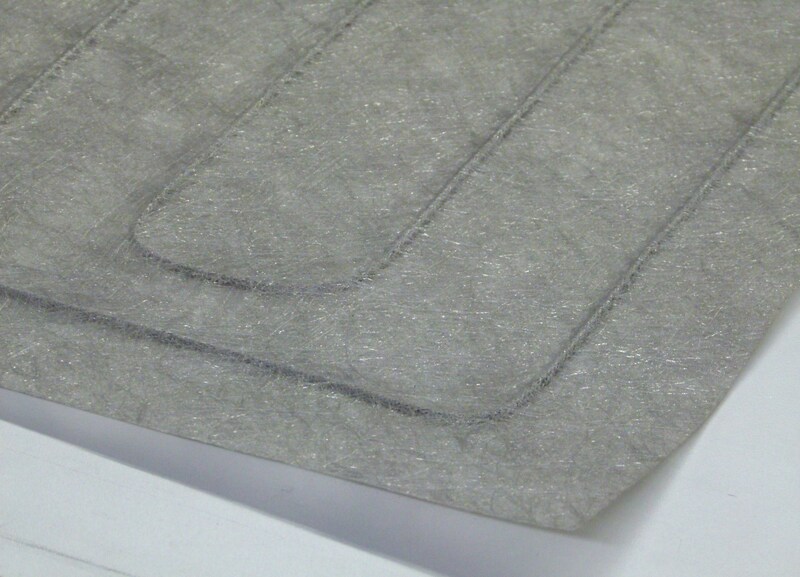 Heatlay mats install faster and easier than any other floor heating system. They require the least installation labour, shorten project schedules and keep costs to a minimum. Heatlay’s professionals bring over 20 years of experience to the design and manufacturing of premium electric radiant floor heating systems. Heatlay mats provide comforting warmth for any tiled floor; a must have in bathrooms, kitchens and basements. 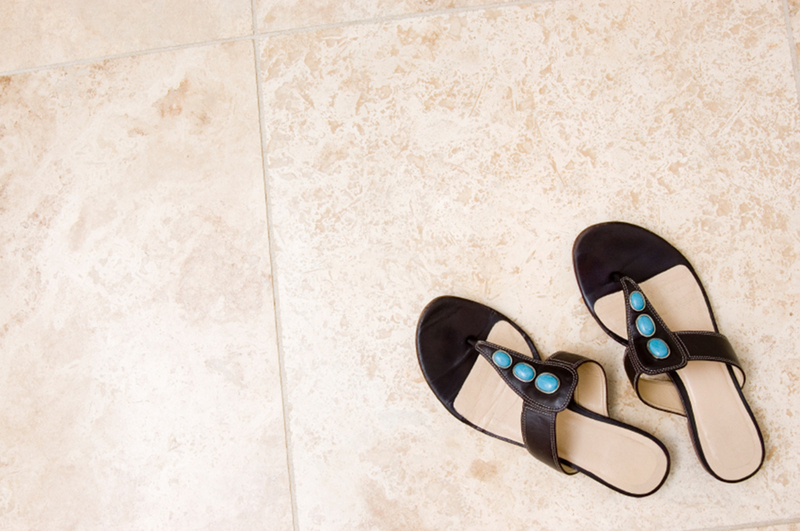 Heatlay’s innovative design makes a premium floorwarming system affordable for the everyday user. Easy to install and easy to use, industry leading controls let the homeowner choose where and when they want the floor to be warm, maximizing both comfort and efficiency. 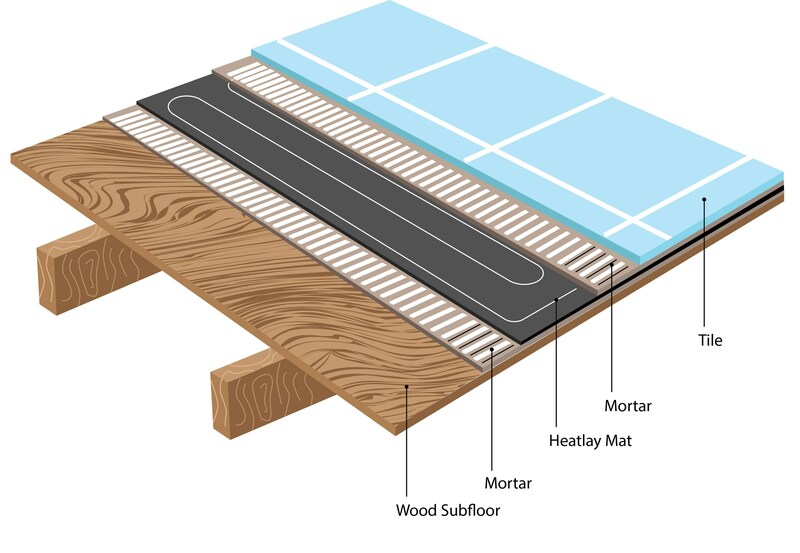 Heatlay mats are built to size under factory controlled conditions and not forced into shape in the field like “open weave” cut and fold mats. 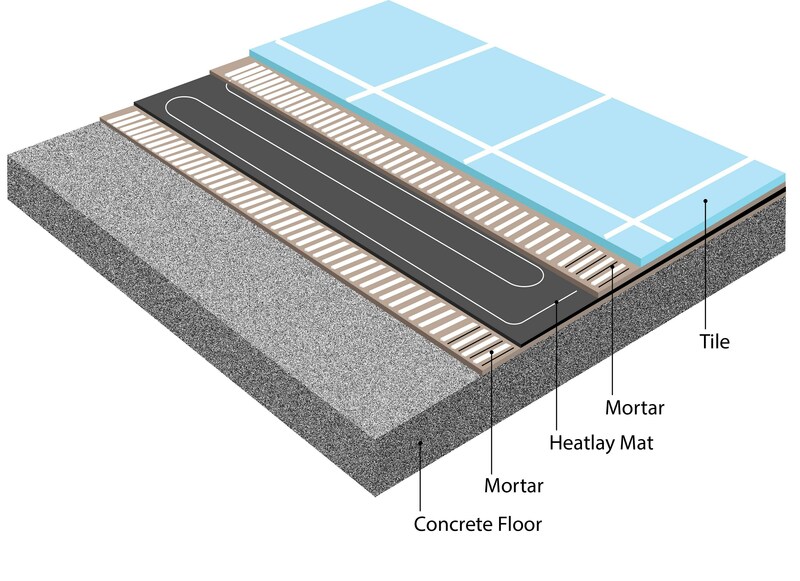 Perfect for the DIY or professional, Heatlay mats are the simplest and quickest systems to install, provide even heat distribution and do it all with almost negligible floor height increase. 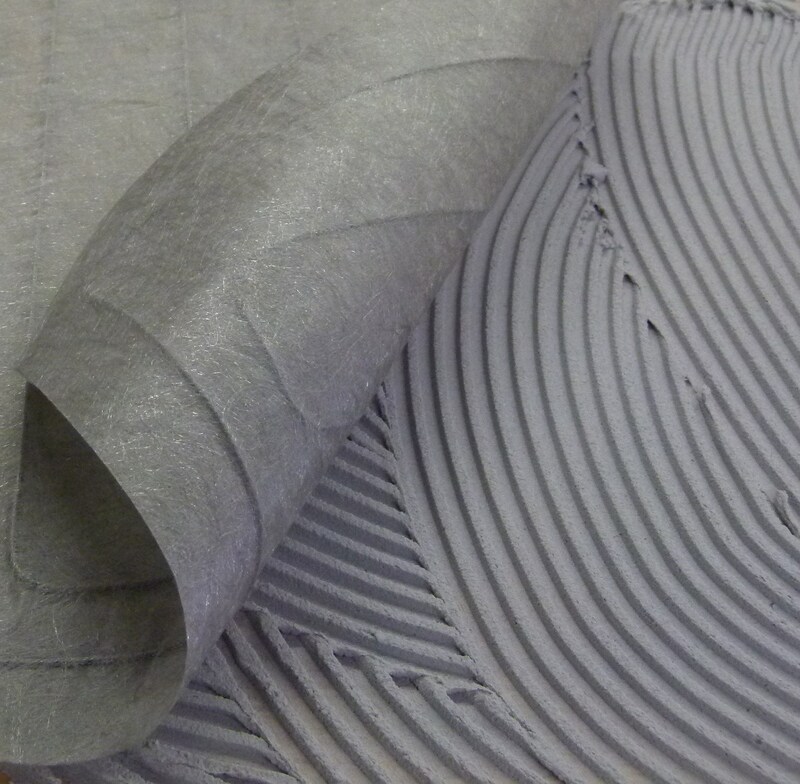 Heatlay has pre-designed 130 mats of varying sizes for a drop-in fit for nearly every application and goes one step further by providing the option of custom built mats to fit the curves and angles present in many rooms. After a decade of heating mat manufacture Heatlay is expanding to include a series of uncoupling membrane floor heat kits. Heatlay has combined the best products from cable, membrane and thermostat manufacturing experts to create unbeatable online deals. Again, ideal for the DIY'er or contractor these kits can be used on all kinds of substrates thanks to the membrane's uncoupling function. The system is quick and easy to install with an overall thickness of only 5.5 mm (1/4”) and provides twisted pair zero EMF construction. Copyright © 2018> Heatlay Ltd. All Rights Reserved.